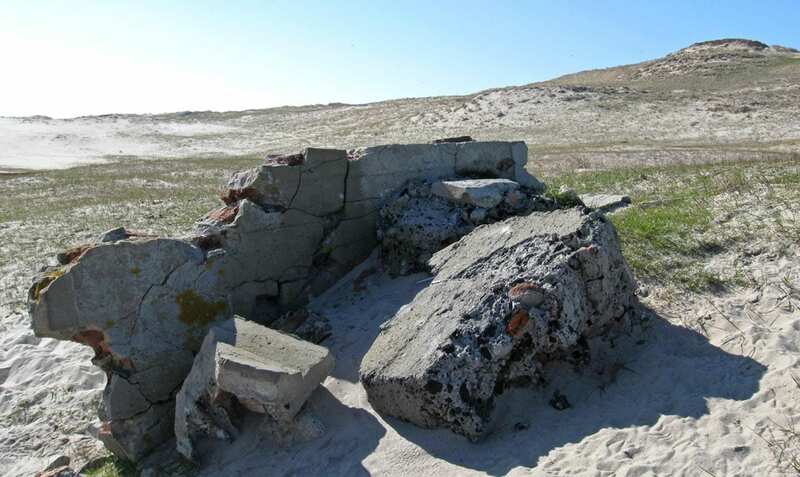 My family’s connection to Sable Island began almost fifty years ago when we lived at the West Light while my father was employed there as an electrician. In the spring of 2008 I had an opportunity to return to the island for a brief visit. One of the most profound memories of that unforgettable afternoon was a walk to the site of the Old Main Station, headquarters of the Sable Island Humane Establishment 1801-1958. Although the buildings had virtually disappeared, it was a humbling experience. A few corner stones and bits of rusty metal were all that remained as a subtle reminder of past life saving service. Accounts of the Sable Island rescue crews were extraordinary. They worked under extreme conditions with limited resources. Many lives were lost on Sable shores. Many lives were saved thanks to the courage, ingenuity and perseverance of the men, women, children and horses of the Sable Island Humane Establishment . As I looked around the site trying to imagine where former buildings stood, all I could really comprehend was that I was standing on sacred ground. For those unfortunate souls who found themselves at the mercy of a vast and unforgiving Atlantic ocean, the station was a sanctuary. The Sable Island Humane Establishment and its legacy has undeniably earned a place of honour in our Maritime history. Image: A toppled chimney at the Old Main Station, photo Cindy Clancey 2008.